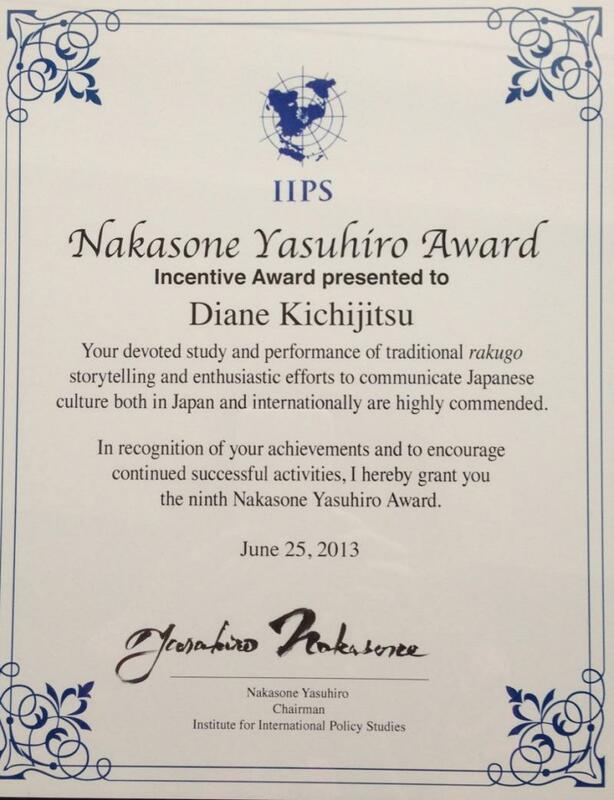 Such an exciting week for me. 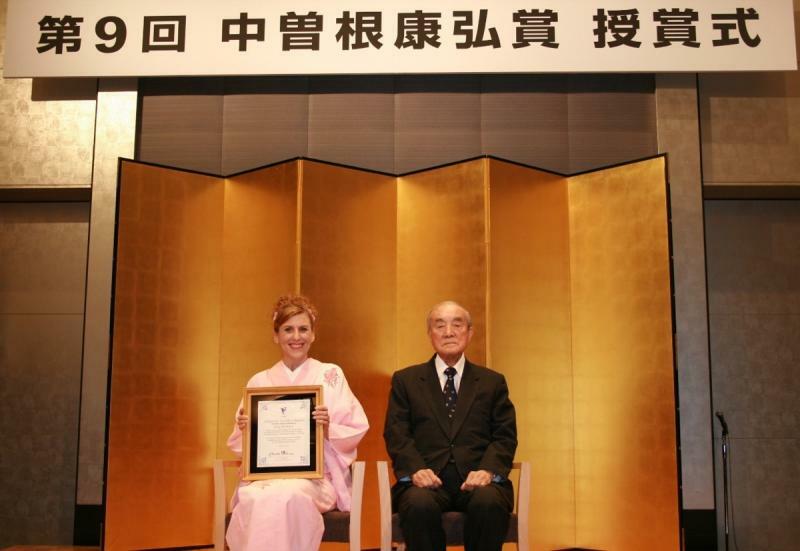 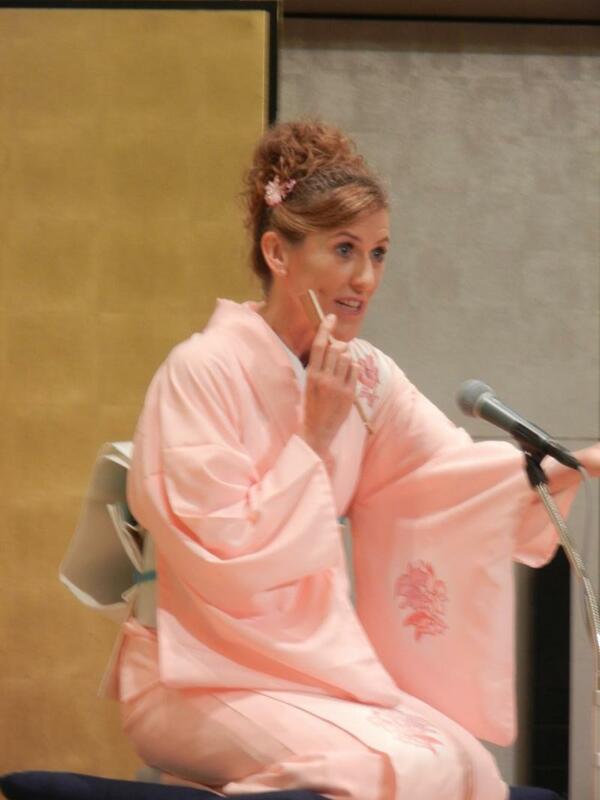 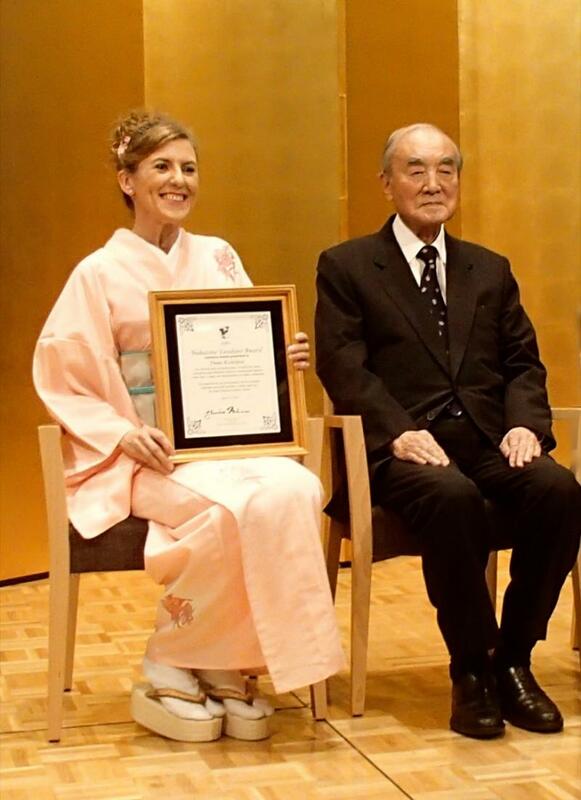 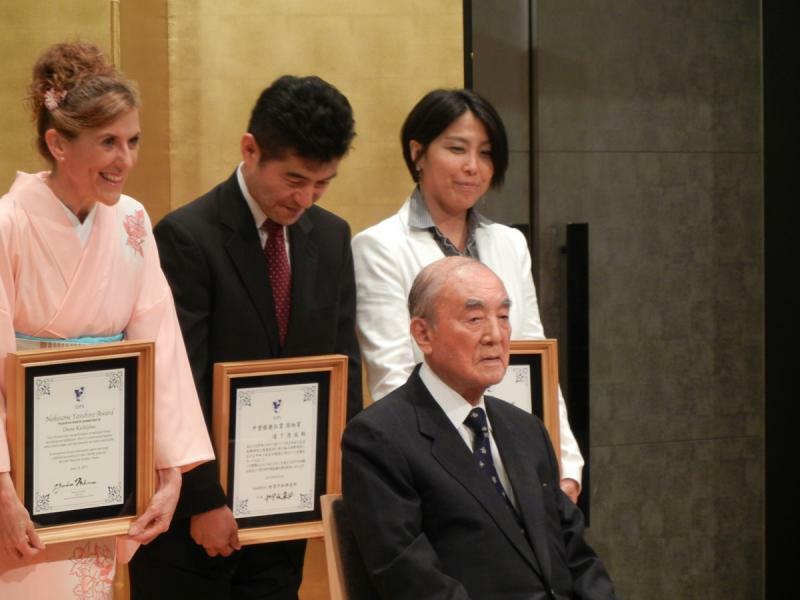 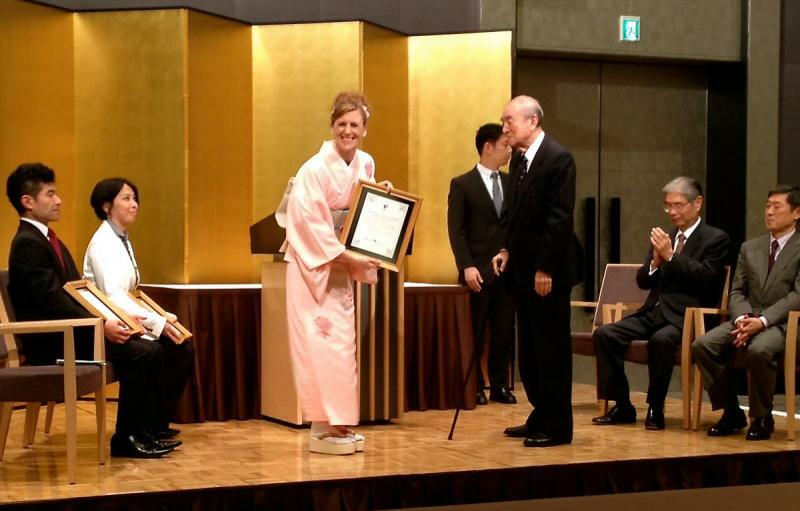 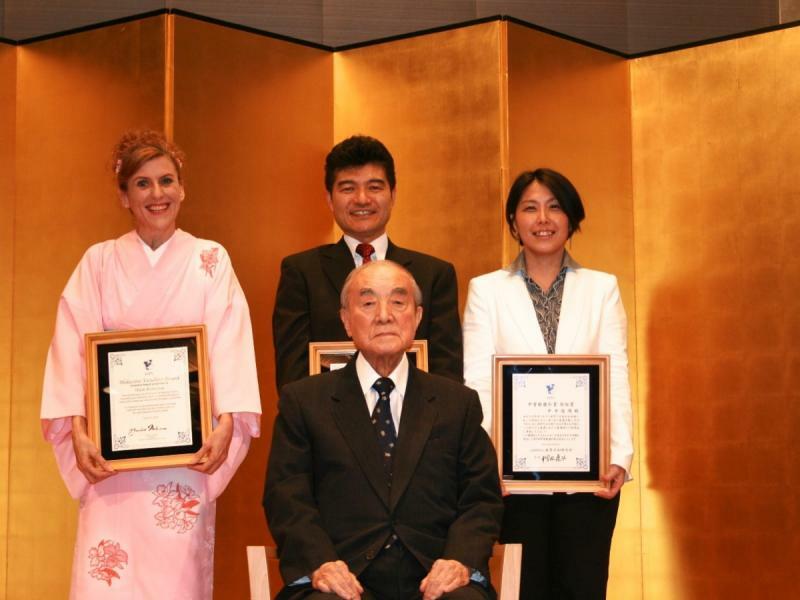 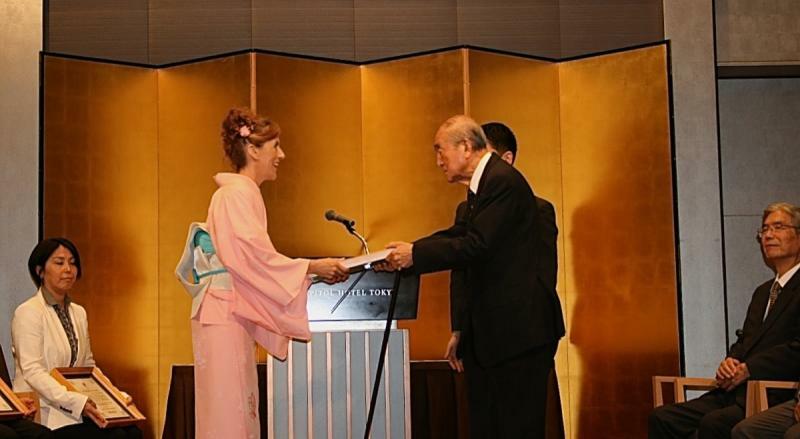 I was selected to receive the Nakasone Yasuhiro Award and was asked to perform Rakugo for former Prime Minister of Japan, Mr. Nakasone, and guests at the presentation ceremony in Tokyo. 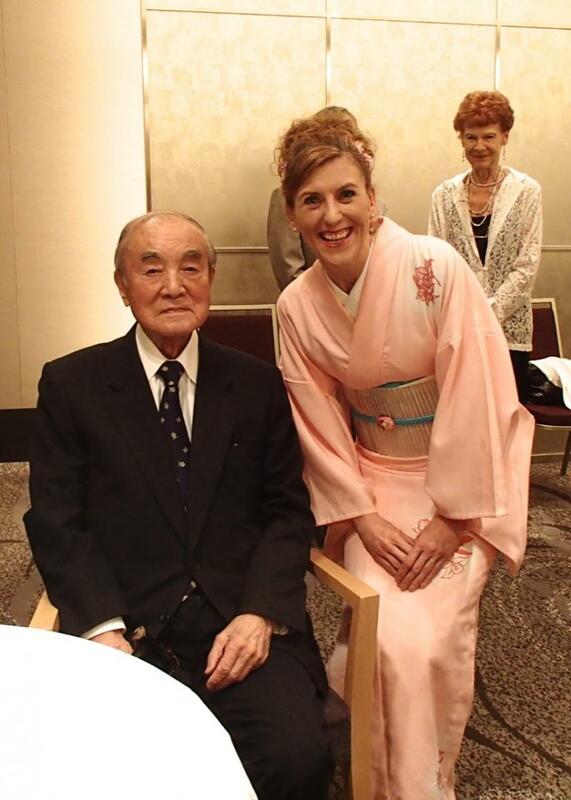 What a privilege. 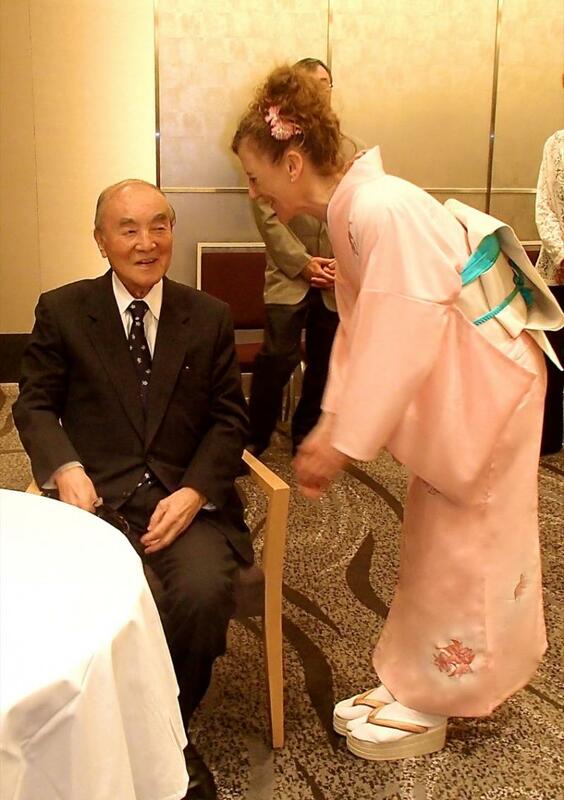 Mr. Nakasone is now 95 years old but still attended the ceremony & reception party. 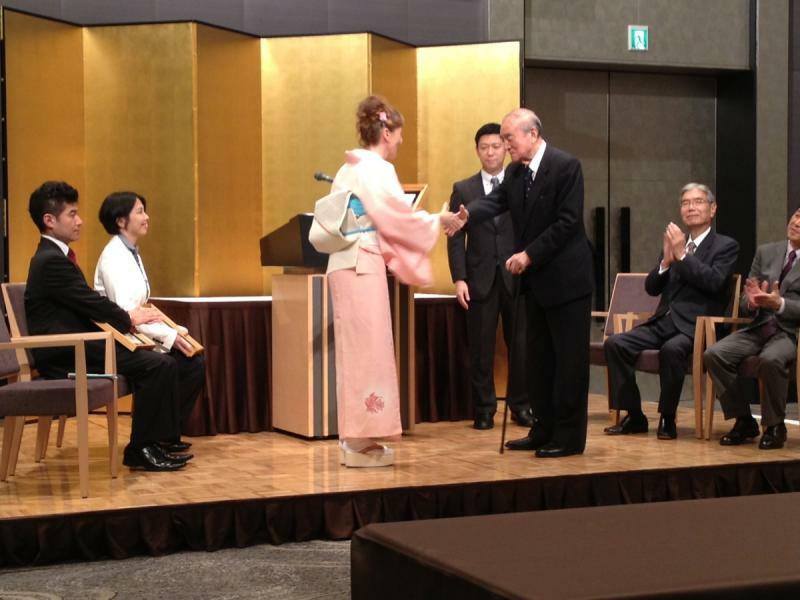 He’s a lovely man and I’m thrilled to have met him and so excited about receiving an incentive award.